Hmmm, so today is 11 November 2011. It is Remembrance Day in the British Commonwealth (Veterans Day in the US) to commemorate the end of World War I. It is also a Chinese pop culture day i.e. Singles Day (光棍节 - bare sticks day, since the ones looked like sticks). This year, it is extra special, for the year is also a two digit 11, making it 11.11.11. In Malaysia, many people took the opportunity of this date to get married or rather, to register their marriage (hey, you will never forget your wedding anniversary date). I am sure many restaurants and halls were fully booked for wedding dinners tonight. So nothing much happened for me today, though I saw a car with this number plate **N1111 along the DUKE (Duta - Ulu Kelang) highway. The last alphabet was an N (out of the three alphabets) and that looked like an 11, thus making it a 111111 number plate. 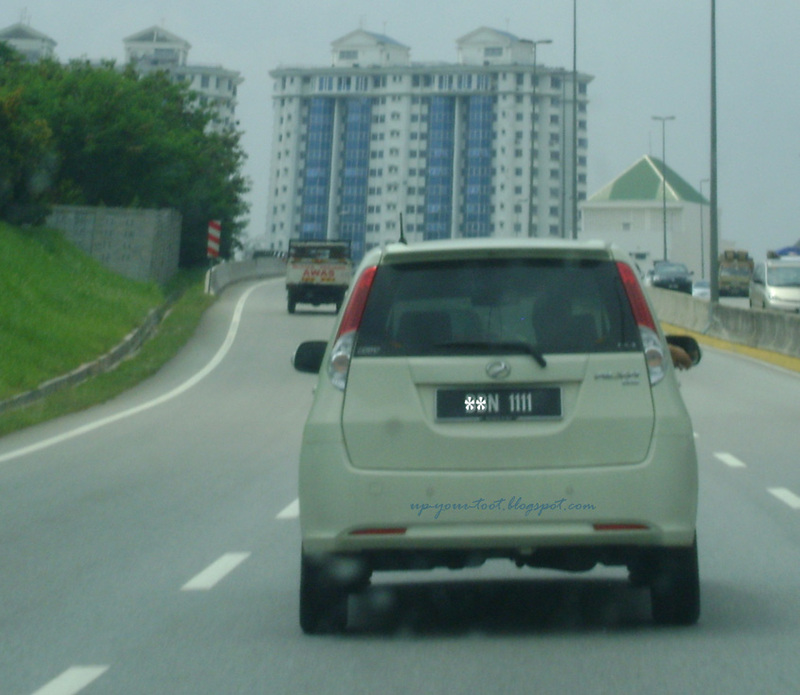 What a coincidence - a car with **N 1111 registration plate, and I saw it on 11-11-11. On the flip side, I just noticed that the number of drafted but unpublished posts for this blog has grown to an embarrassingly large number (a number too big to disclose, hehe). I am really bad at maths;-).